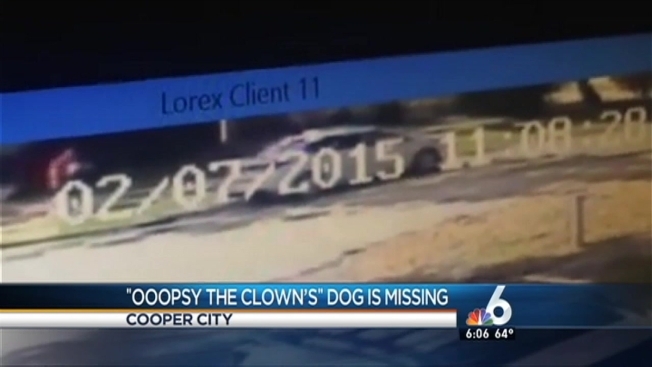 A popular South Florida clown says her dog was stolen from her yard. Amy Tinoco, known as "Ooopsy the Clown," says a contractor let her dog, a 10-year-old Yorkshire Terrier named Martini, out in the yard last Saturday. That's when someone stole the pup in broad daylight. Surveillance video from a neighbor's house in Cooper City shows a white car pulling up on the wrong side of the street. A man in a red shirt then got out, picked up the two-and-a-half pound dog, and drove off. Tinoco hopes the thief will have a change of heart. "Please please please, I beg you to bring her back," Tinoco said. "We won't press any charges. We just want her back home." Tinoco is asking anyone with information to call (754) 422-7337.